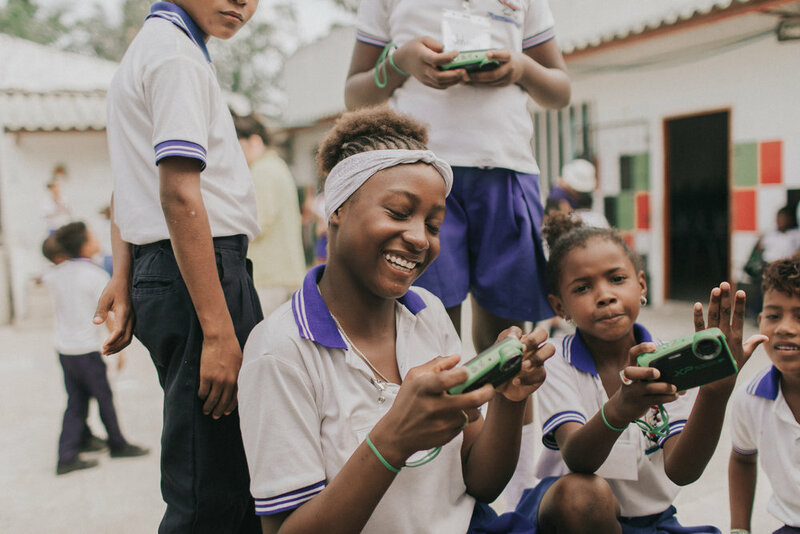 We are beyond grateful for companies who give-back to further our mission to empower more kids worldwide how to process and tell their stories. Our ability to scale our impact to work with more kids this coming year is greatly supported from brands who see the importance in making a commitment to give-back. It’s a delight to connect with teams to learn more about their work while meeting kindred spirits across various industries, making our partnerships always an uplifting experience. It’s our pleasure to highlight and applaud the following brands that supported our mission in unique ways this past holiday season. A women's magazine published by Condé Nast Publications. Featured our organization for their "31 Days of Giving" showcase to help raise awareness during the holiday season. Check it out online or in the January print issue. A boutique post-production company located in London + USA. Hosted an auction to help benefit our cause at their holiday staff party. Featuring images by Tyler Mitchell, Hanna Moon, Ben Lennox as well as donated packages from local businesses. A photography gear company based in Stockholm, Sweden. Made a commitment to donate 10% of their sales during Black Friday + Cyber Monday to kick off the holiday season by directly furthering our mission. A one-stop shop for photographers to store, organize, share, and more. Decided to forgo the traditional method of mailing cards to their holiday contact list, and instead, made a donation to our organization and designed an e-card that shared about our mission. A school in Oakville, Ontario that seeks to inspire and empower girls. Annually, the students host a film festival during the holidays to fundraise for a charity of choice — choosing our mission in 2018.